I seem to have a lot of collections. Tools. Chairs. Cameras. Boots. I seem to covet these things as art objects, but art that I can definitely use. I've owned objects that were too nice to use, one being a vintage Eames LCM that was just so perfect and all I could do was worry about marring the flawless beauty with a jean rivet, so I had to sell it. It was gorgeous, but I just couldn't keep it if I wasn't going to use it. So here we come to my pair of Iron Rangers. Damn, if they aren't good looking, but also up to some serious use. The harness leather is soft yet hard wearing – great material from their own tannery, S.B. Foot Tanning Company in Minnesota. I've had them for a couple months now and they've been comfortable from day one, and only expect them to get better. The cork sole is a nice change from a loud leather sole and will be perfect for the wet Portland seasons that are near. I'm curious how it will wear, as I seem to have a pronounced heel-strike, but regardless – the Goodyear welted construction will make resoling possible for the life of the boot. 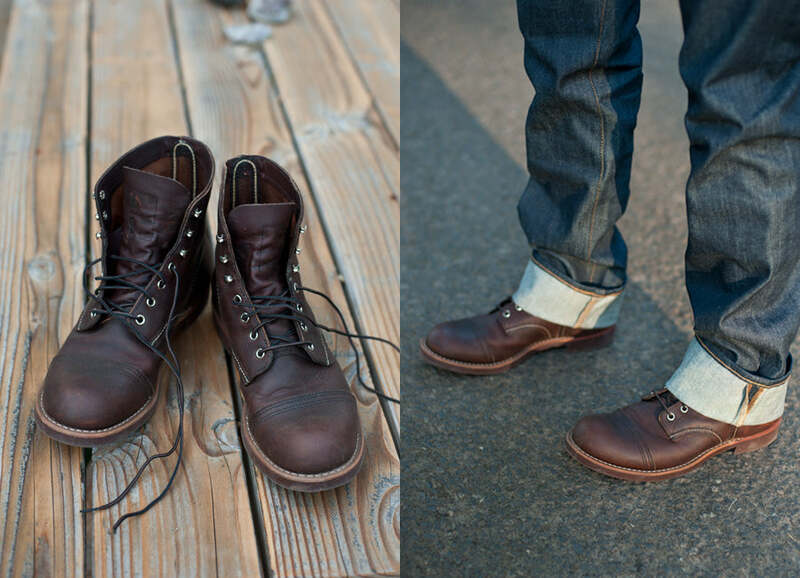 Amazing construction details like the triple stitching and the cap toe make this one of the best looking boots made. 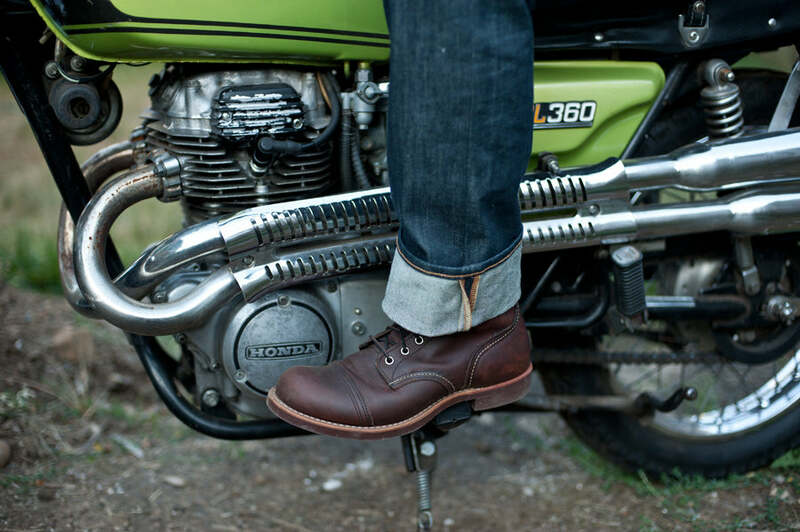 Fall is coming up and if you're in need of a solid boot, I recommend you take a look at Red Wing's offerings. Thanks to Lisa Warninger for the photos and a tremendous thanks to Dan at Red Wing Heritage for the best gift possible for a boot collector like myself.